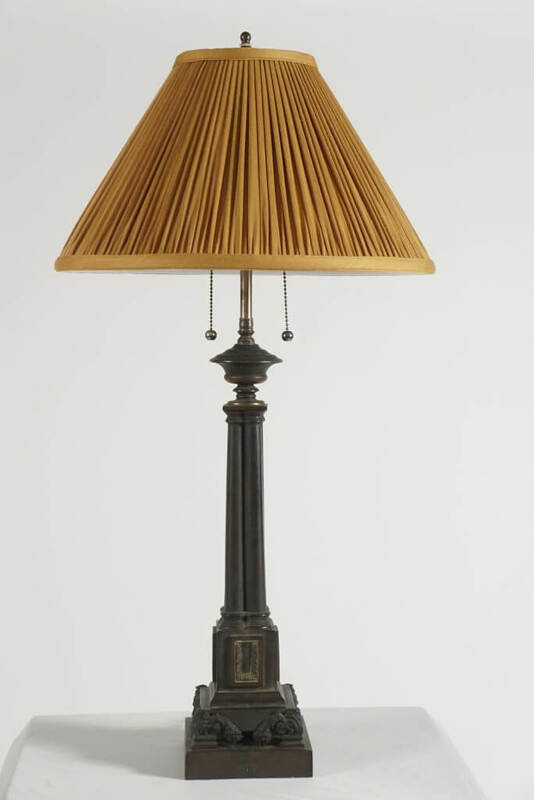 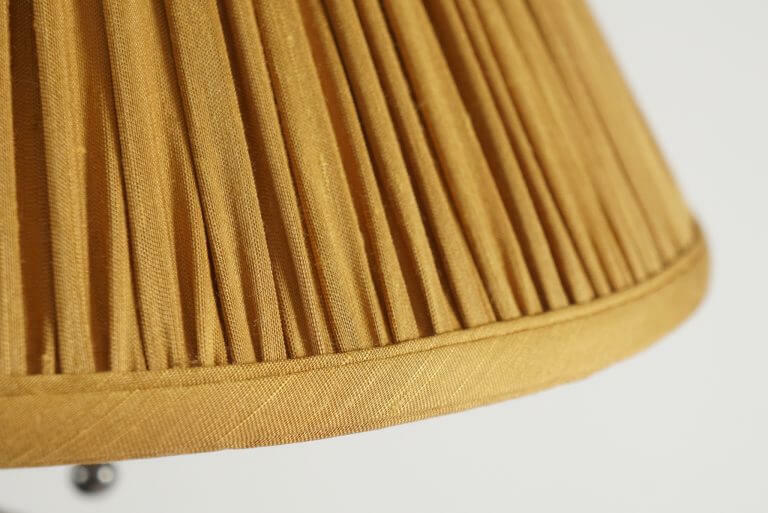 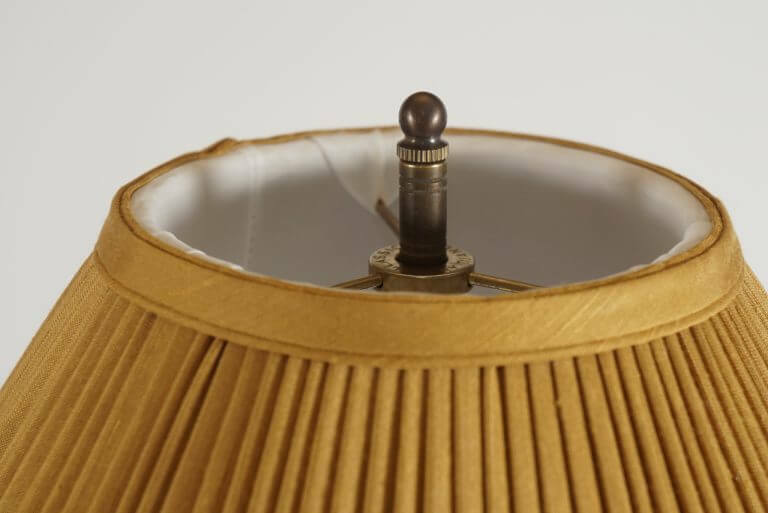 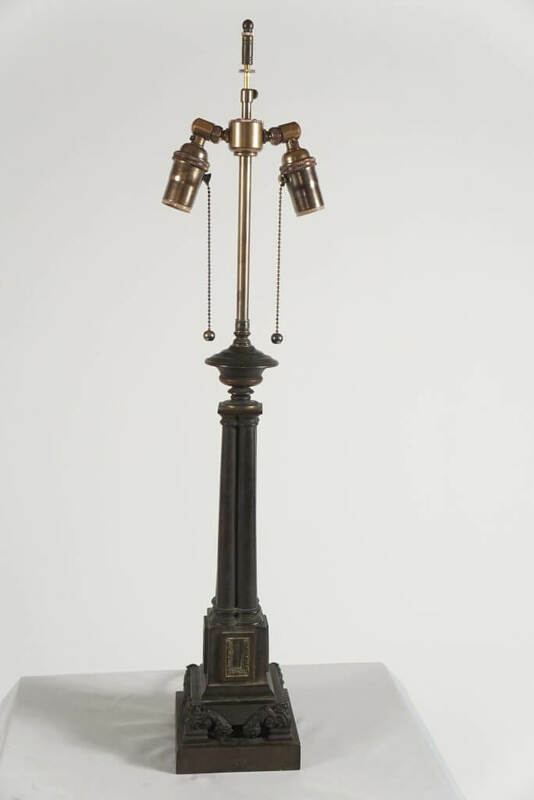 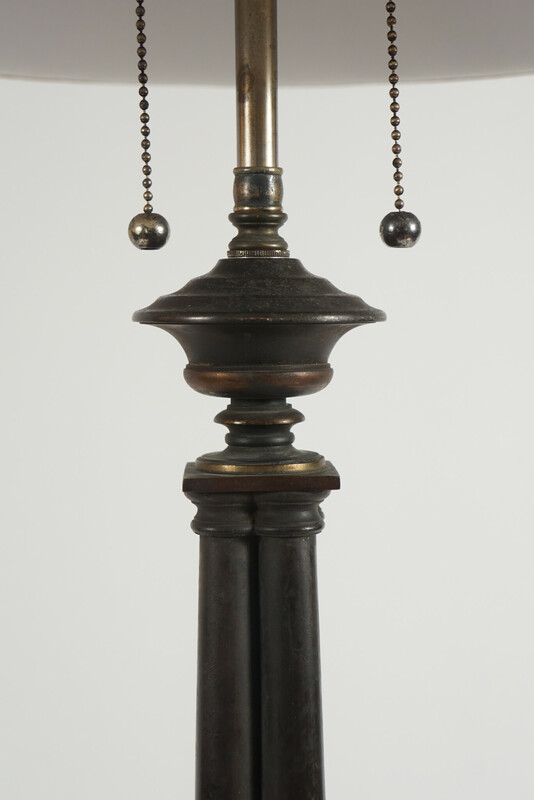 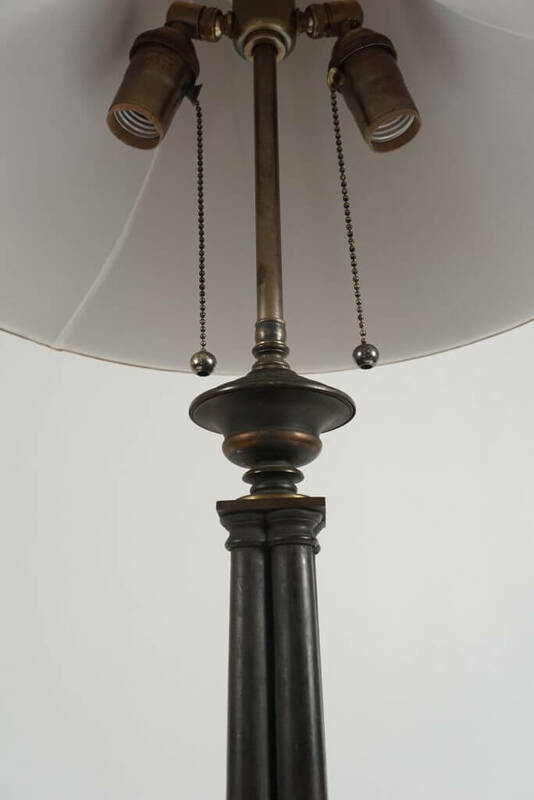 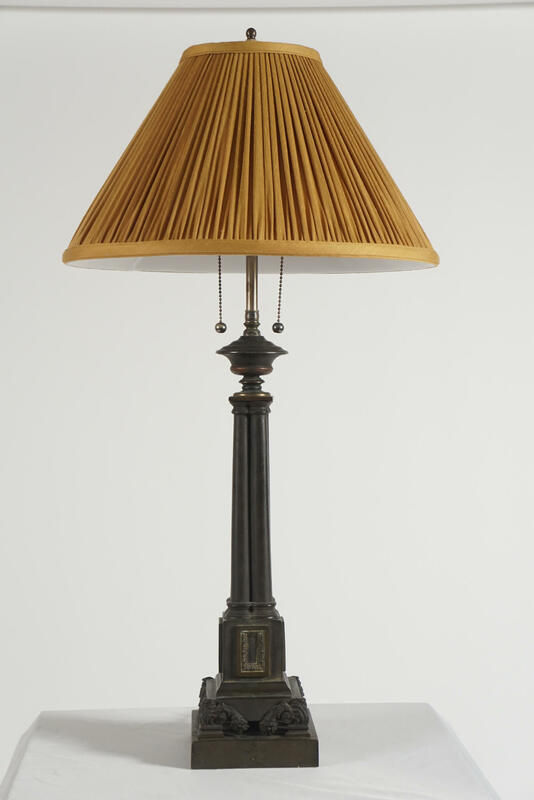 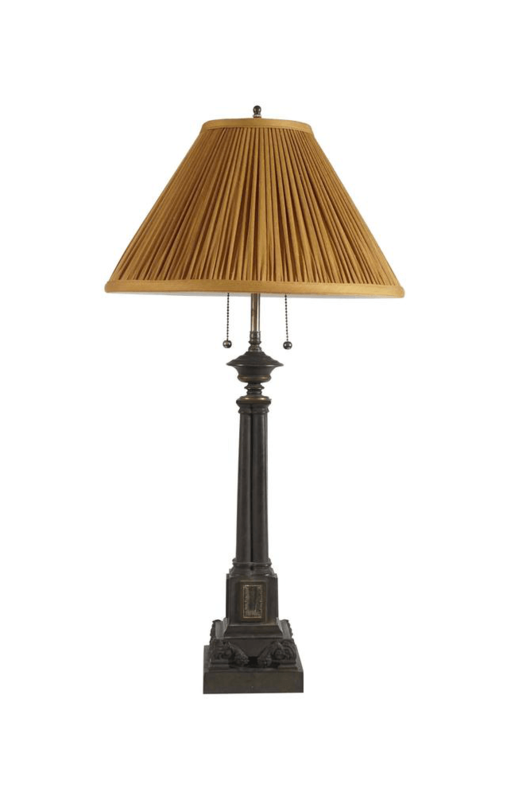 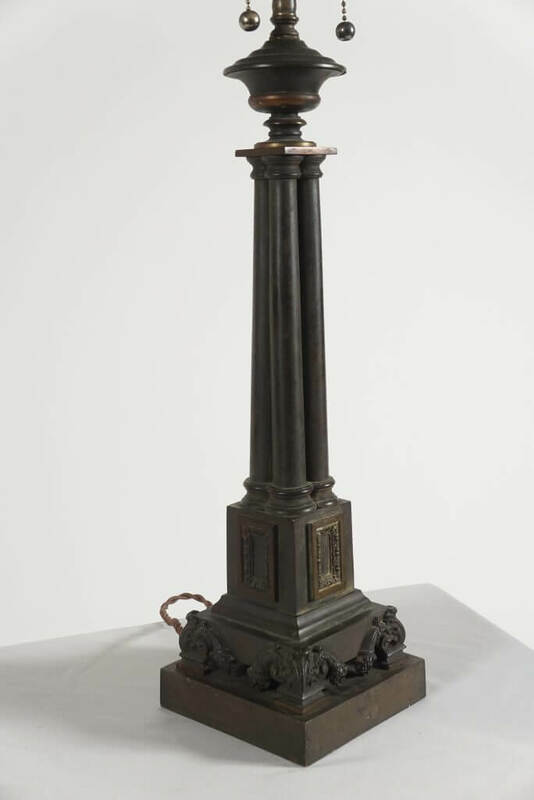 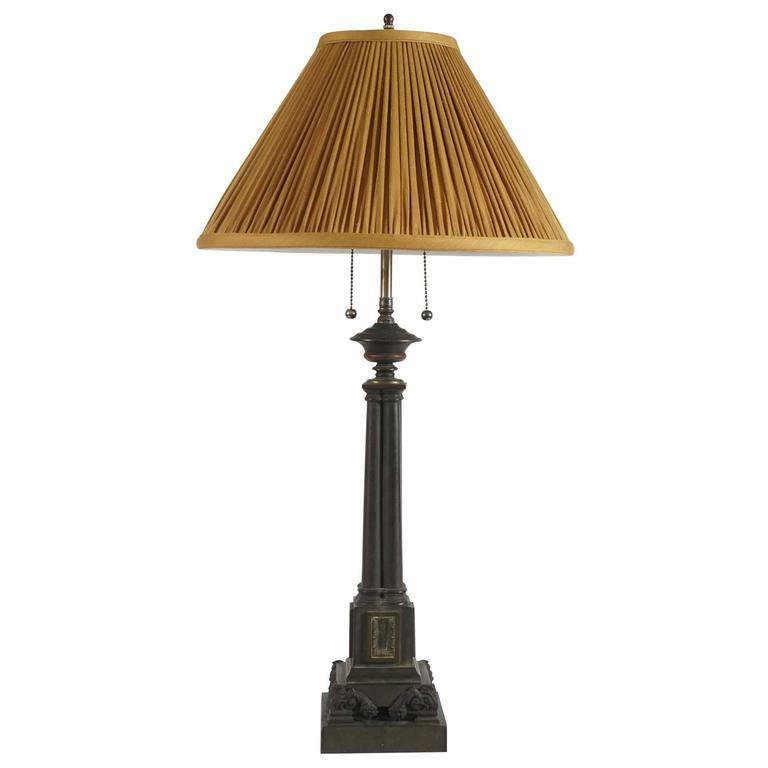 English Regency period solid bronze table lamp firmly attributed to the Birmingham firm of Thomas Messenger and Sons of clustered column-form on stepped plinth base with panel and acanthus motifs having gathered silk 'coolie' form shade. Originally a sinumbra lamp, converted to electricity in the early 20th century. 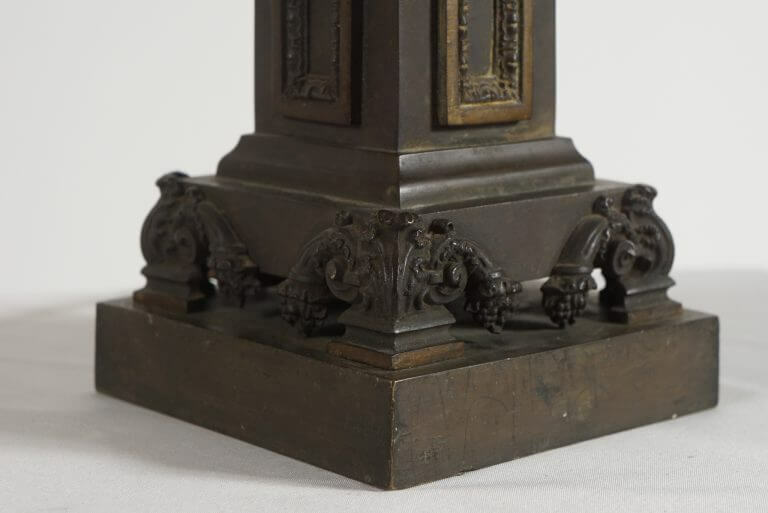 English Regency period solid bronze table lamp firmly attributed to the Birmingham firm of Thomas Messenger and Sons of clustered column-form on stepped plinth base with panel and acanthus motifs having gathered silk ‘coolie’ form shade. Originally a sinumbra lamp, converted to electricity in the early 20th century.